With so many direct air options to London from the USA, England is more accessible to Americans than it has ever been. When choosing a destination for my annual girls’ trip, we decided to leave the warmth of Florida behind us for shopping, castles, and fireplaces. 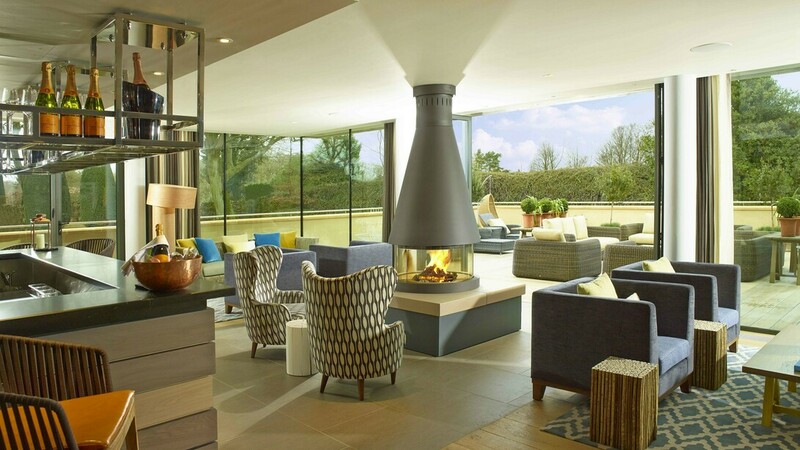 Combining London and The Cotswolds made for a perfect 5-night getaway! Arriving in London, we were met by our wonderful driver who whisked away a Virtuoso property with the best views in London, The Shangri-La at The Shard, a Virtuoso property. As a member of Travel Experts, both a Virtuoso agency and Shangri-La Luxury Circle, our clients receive incredible value-added amenities at this hotel at no additional charge. Breakfast daily, room credit and upgrade if available are standard when we book clients here. From everywhere in the hotel, we had sweeping views of London, giving us a unique perspective of the scope of the city. Our rooms were spacious and luxurious and we were highly impressed with the white gloved bellman and the level of security at the hotel. LOCATION: I was skeptical about the location here but we loved it. Being right next to Borough Market was a treat but best of all is the fact that you are right on top of a major tube station. It could not be more convenient. Within 2-3 stops and a 5-minute tube ride, you can quickly arrive at popular attractions throughout the city. This is certainly an incredible location and protects you from huge crowds in the most touristic areas. 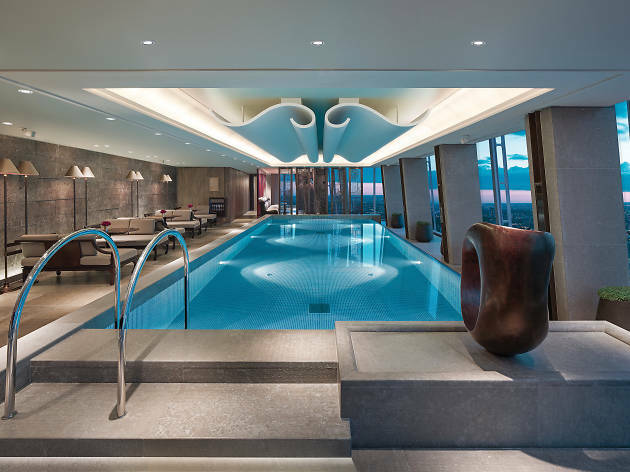 Unique to this hotel is the indoor pool which is rarely found in London hotels, making it a perfect choice for families with young children. Once we settled in, our private guide set out to show us some hidden gems of London. We enjoyed a tour of the nearby Borough Market, a foodie’s paradise with food stalls, restaurants and cheese shops, learning about this historic location along the way. Next, we hit some historic sites including an underground amphitheater, and a stop with exclusive access at Guildhall, a historic gathering venue used for town hall meetings for hundreds of years. Finally, our private guide finished the afternoon with a stop at the historic Ye Olde Cheshire Cheese pub for a pint of beer. Our first day was completed with an evening of cocktails at The Gong Bar, the highest hotel bar in Western Europe with incredible views of the city. And a visit to London isn’t complete without a night out for a curry. Indian restaurants in London abound and we loved every bite of our dinner at Silka. What do you do in London with a free day? The options are endless! Exploring the history of the monarchy, incredible museums, world-class shopping, the theatre district, guided walking tours, it’s difficult to choose. Some of us chose to shop boutiques while others headed to Churchill War Rooms to see the site of the World War II war room headquarters for the British Military. It’s a fascinating place to visit for adults and families with a bit older children. Housed underground, it brings to life that time period. Next, we were off to lunch at Selfridges, a wonderful recommendation by our guide. Shoes were bought, lunch was enjoyed and everyone enjoyed the experience before we hopped on the tube to meet the others at one of the oldest pubs in London, Ye Olde Mitre for some dinner and a pint! Our time in London certainly could have been extended but heading to the Cotswolds for 2 nights was a perfect choice. Our wonderful private driver/guide took us to our first stop, the World Heritage site, Blenheim Palace. The principal residence of the Dukes of Marlborough and the birthplace of Winston Churchill, it made for a perfect stop. Leaving Blenheim, The English countryside welcomed us with rolling hills, sheep, pubs from the 1500s and a superb hotel and dining experience. A quick stop in a small town for some shopping gave us the first glimpse at the charm of the Cotswolds. The best was yet to come, our arrival at our countryside retreat, the Dormy House Hotel & Spa. The Dormy House Hotel & Spa is on the Farncombe Estate and houses 3 hotels, The Fish, Foxhill Manor, and The Dormy House. Entering the Dormy House, we found a wonderful staff, roaring fireplaces, and impeccable design tied together in a cozy, chic cottage atmosphere. We were quickly checked in and shown to our rooms which were 3 charming and cozy cottage style rooms near the spa. Each room had robes in the closet just waiting to be worn to the spa! Taking some time to discover the hotel we found the beautiful Back Garden restaurant and the potting shed where dinner or cocktails could be enjoyed. We finished the evening by heading to the Swan restaurant in the town of Broadway, just 5 minutes away, and enjoyed a fantastic meal in a beautiful stone-walled restaurant. Our final day was a perfect day for a girls trip but would be heaven for couples and groups as well. After enjoying breakfast in the lovely Back Garden restaurant, we began our day at the spa. The spa was outstanding, to say the least. 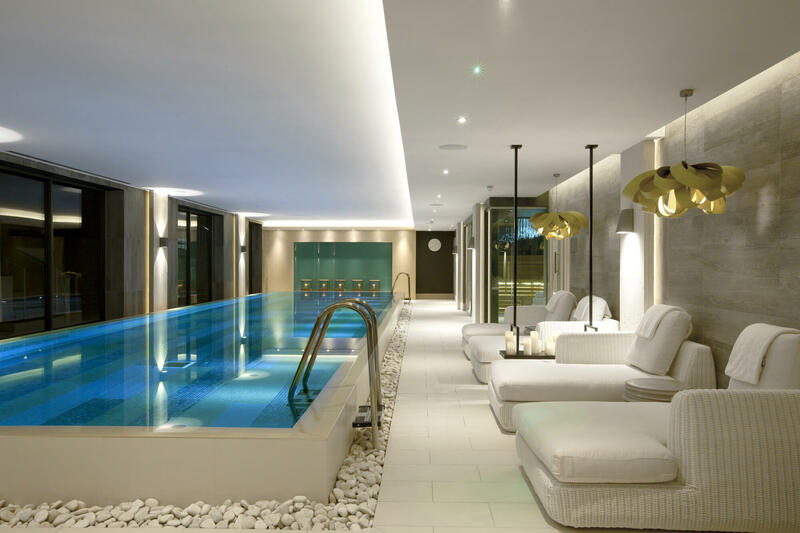 We enjoyed outstanding massages and facials, the warm indoor pool, the steam room, sauna and outdoor hot tub in the cool Cotswolds air. Rested and relaxed from our massages, we ventured back into Broadway for traditional afternoon tea followed by shopping in the cute downtown area and taking a moment for some photo opportunities! 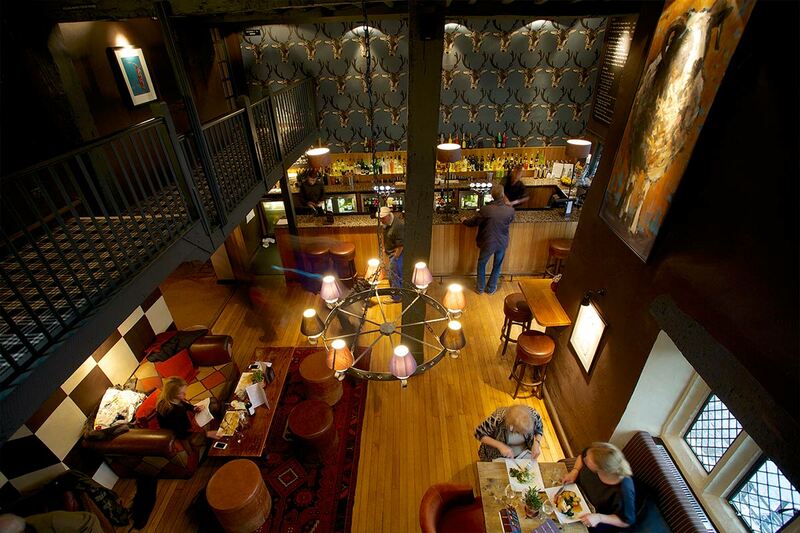 Lastly, we stopped for drinks at an old but hip pub at The Broadway Inn. Just like every other establishment we visited, the Gin lovers were thrilled with top-notch gin and tonics, a favorite of the Britts. We finished our trip by venturing out to dinner near The Fish Property at a delicious restaurant called Hooked. It was the perfect way to end our time in the Cotswolds. I would recommend a London and Cotswolds trip for girlfriend trips, couples, and corporate groups. For families who want to experience the authentic English countryside and hospitality, a few nights in the Cotswolds is certainly doable after a stay in London. As always, it’s a matter of choosing the right locations and experiences for your travelers.